Curved arrows are tools that help us draw the resonating structures with ease. Resonance and resonating structures have helped us understand the electron density in molecules. To draw the resonating structures, we use the curved arrow notation to help visualize the flow of electron density in the molecule. Notice that in actuality, the electrons are not moving and drawing the resonating structure is just a conceptual image. However, in other applications, the curved arrow notification will be used to indicate the actual flow of electrons. 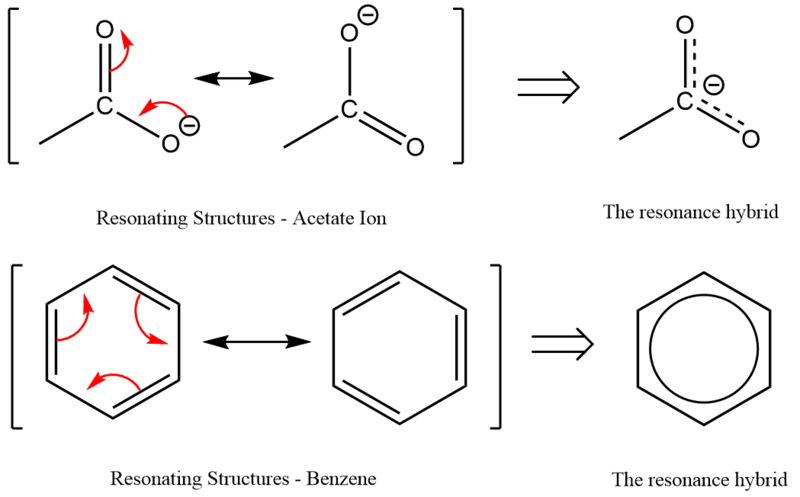 For example, when drawing a reaction mechanism or the different steps of a reaction.